I am honestly enthusiastic about being able to announce the next firmware release today! Everybody here at NEEO is working hard to achieve our goal of even more frequent firmware releases. In order to get it onto your NEEO quickly, make sure to check out the "How to update your NEEO” section below. With the slide customization options we have released in 0.49.10, the shortcuts have become a much more important feature. During the last two weeks, we have therefore been working on the look of the shortcuts and widgets. In fact, there were so many changes in relation to the shortcuts and widgets that I decided not to list them all in the release notes below. As you all know, the devil is in the details. That means we are not stopping here, further improvements and features will be added to the shortcuts. There is a ton of other stuff in today's release. 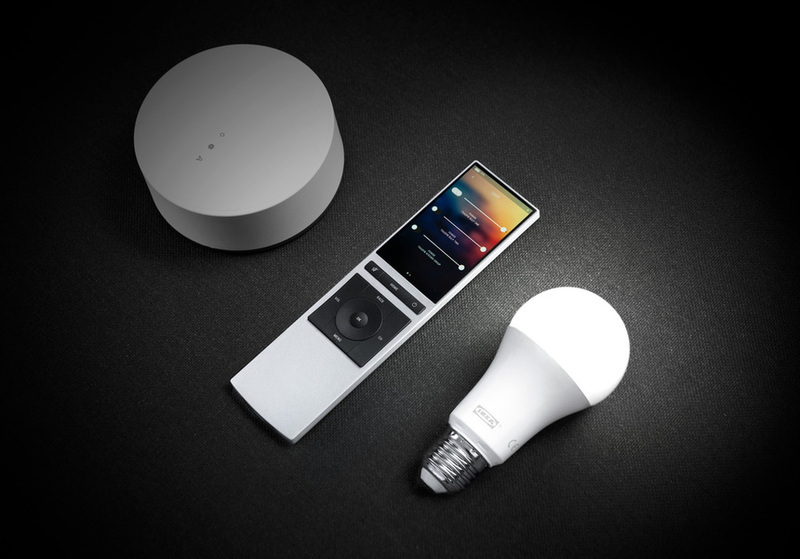 An example: A "clear" button for the Sonos queue on the NEEO Remote and App, you can now enable automatic firmware updates on the NEEO Brain, improved backup handling, further performance improvements and of course we fixed a big number of bugs. Make sure to check out the detailed release notes below to get the detailed changes. Also, check out the Known Issues for this release. We have released new versions for Android as well as iOS during the last days. For Android this mainly improves the NEEO Brain discovery, for iOS this mainly includes changes for the iPhone X. To get the best experience, make sure you update these on your mobile devices. Device ID is now shown in "Unavailable Devices"
Thanks for the increased rate of updates. Can you guys focus on Z-wave quality? things like - re-scan for devices would be great... right now, if a device is not found during initial scan, it just sits there as unavailable (maybe needs waking up... is what it says). If those devices are "played with" while discovery is going, they add-in, but otherwise, just sit there on the unfound list. Second and critical Z-wave thing that is STILL not there - thermostat control. Why? Adding a thermostat as a device is pointless as there are still no controls. C'mon guys - this was in from day one and still not working. Matt Pearson Hi Matt, is there anything I can help you with? Matt Pearson Soon, I promise :). Please stay positive and believe in us. Jeff im trying. Each firmware update someone asks and each time we're told "soon"
Matt Pearson I totally understand and agree with you. There is more to it in the background than one can share. Just know our team is on it and we're working diligently to get all these features going. Jeff I'm planning on buying a remote this week; NEEO was the top choice but now I see that Nest is not supported. Seeing that Patrick's response in one thread of "That is one of our highest priorities, you'll see that soon." was more than 10 months ago, I really have pause now; I'd be happy to forgo immediate inclusion, but it sounds like there is a much deeper issue and it won't be included for a long time if ever. Considering I figure to buy a remote system every 5-8 years, I'm going to need to have higher confidence. Drew McGuire Hi Drew, we are closer than ever to releasing NEST support. We're actually working on the UX for it :). I don't know how much longer it will take, but maybe in the next two or three firmware releases might be possible. In either case, I can assure you that we will add NEST support sooner rather than later. It is a bit more complicated than one might think which is why there has been such a delay, but the ball is rolling on this. I hope we can earn your confidence and have you join the NEEO family. I love the amount of changes made! I’m so interested to see what cool projects will come with the SDK updates. Any plans to integrate Amazon Alexa/Google home? Brian Ho We already have a proof of concept with Alexa. Though Its not public, internally its being tested as we speak. In regards to Google Home, we're also working on a proof of concept. Brian Ho Have you checked your discovered devices in the alexa app? WHo knows, it might work without officially being supported. I wonder when we'll have firmware version 1.0 :p :) keep it up! Has anyone of you had experience with Zwave>ME? Or what it can do? Or is that the double decker Brain Patrick shows in his pictures? That aside, read all about it and you will find that it's all you need to have the remote do almost anything. When will I be able to buy an app created with the SDK? I would really like to buy a nice full control for my Samsung TV. The best practice is to control TV tuner ( I use the Kathrein and had no problems setting it up) unless you use the built in tuner. Emmanuel Serebe I don't care about channels- My Samsung TV has a pretty good App system with multiple controls and IR control is inconsistent with what is on screen. It would be nice to have full IP control so I could have some icons on the touch panel that directly led to some Apps, etc. Ian Silverthorne you can use the SDK to build one. Niels de Klerk I don’t have the skills or knowledge to do that. And I don’t have the interest either. I have been under the impression that the SDK is going to allow for a marketplace of sorts where these things will be written by people who want to build them and be able to reap the benefits of their work. Is this not the case? Is this SDK simply being used to build a DIY system where individuals who can code are building applications? I have been under the impression that the SDK is going to allow for a marketplace of sorts where these things will be written by people who want to build them and be able to reap the benefits of their work. Is this not the case? Is this SDK simply being used to build a DIY system where individuals who can code are building applications? Well both. The SDK allows anyone to custom made a driver. All open source and free as in beer. Typically someone writes a driver out of a need, to help out and or because it’s fun. Keep in mind these things cost a huge amount of time and in some cases it’s just not possible to make a driver because the company behind a product choose to use a closed eco system. Having an app doesn’t mean it can be controlled with something else through the same way. To ren a driver you currently need a computer to start the driver. A drivermanager is in the works by community initiatives. When a driver is finished and tested, the developer can offer their driver to NEEO. They can choose to include it in a firmware release. dont expected anyone to ask money for their hard work, kudos will be more than enough but leaving a donation so the dev can have one or two beers is always highly appreciated. Personally although I’m very disappointed with the absence of features I expected to be here by now (actually from the start) I am heartened by the more regular updates and as Jeff has asked I’m ‘believing in you’ for a while longer. xAPPO What are the missed features? May you have voted for them, or provide detailed infos about them? Don't check your previous posts, if it state somewhere in there. Anyway, i think the Team show, that they are serious about intagrating new stuff and go forward. But due to the fact that they are a small team, it can take a bit longer as when you have a big team of coders, each sitting on one topic only. right? That was an awful idea to take away the delay customization..
john m who says it’s away? Niels de Klerk omg it's totally there i never checked until i had more time.. I must be going nuts.I thought i read in the update description somewhere that the delays were updated for devices and could be decreased, but not increased. Now i can't find where i 'think' i read that.. Thank you Niels. john m That rather is a known issue. We are re-working the smart delays for one of the very next releases so that you can then fully customize them for each involved device. Am curious though about how persistent the WiFi is on the remote. Does it go to sleep like Android 6 and above? I think I may be able to test it using Node-RED! I would like to revisit my small but awesome project using indoor positioning : https://www.internalpositioning.com/ . ====> Have Kodi turn off in Living room and another turn on in the bedroom automatically. How? I run different automation servers. Emmanuel Serebe You can Setup a dedicated Recipe fot that, but that needs to be dne manually, there are currently limits with manual recipes. Emmanuel Serebe the remotes WiFi will drop when it’s in standby. But comes online when moved. That sounds nice. And I will look into it. But then again if it's a matter detecting what Kodi comes online then I could also let the other automation servers deal with the switching them over. The overall power of the remote being in my hand and shifting through my content out weighs my worries. So it's all good! Or in other words Sweet! Might I also use this opportunity to say thank you to all for the good work indeed. And while at it for those with fat fingers ( like mine) who are afraid of dropping the remote to check out the Egrips Anti-Slip Protection . I will test with Node-RED presence flow on how quick and how long it stays on line. But all is well and daaaaamn this thing is so cool! Emmanuel Serebe I’m using a HDAnywhere MHUB device myself. Both my HTPC and AppleTV are at a centralized location and HDMI is transported over UTP. It’s unbelievable how well that works. Only issue I had to resolve was that my livingroom setup supports Dolby Atmos and for instance my bedroom TV only basic audio encodings. Depending on the active recipes I set my preferred audio settings to kodi. So switch between pass through or decode. In this 4x3 world (as compared to the 5x2 world), some widgets lose their utility. Having widgets with three buttons was a way to improve on the old two buttons per row, and besides, the widget buttons are prettier. But now the advantage of a three-button widget over three individual buttons is lost (except for the aesthetics). But worse, there are lots of two-button widgets. Now that there are only four rows, these widgets take up proportionately more screen real estate. I'd still like to be able to have five three-button widgets on one page, but right now the available widgets for the device I most need this for are just inadequate. Richard Moore Hi Richard! Thank you so much for your feedback, we really appreciate it :). I will be sure to send this over to our design team as feedback. The new icons are definitely an improvement imo. Keep up the good work, seems like everyone is also excited is by the fast follow-up of updates now! Preparing firmware update for 4 hrs!!!! Brain got 0.50 but remote dont work! ok + power off didnt help! What can i do??? Guido Steinhauser Keep the Brain on wired network! There is no reason why this is not the case. When I had mine for the first time it could not pair up until I left the Brain on ethernet. Nice one Neeo! Finally we start seeing updates and fixes that are Actually usefull! so... How about current time on the remote and Colorwheels and scenes for Hue, Ikea and Lifx? nice update, thanks for the improvments. i have just a small issue with the new update. when i power off all recipes with the hard button on the remote, all recipes are still shown in now active, but everything is powered off. nuro could you press and hold the top Brain button for one second and check if the remote act normal after a couple of minutes? the brain sends state updates via 6lopan. Sometimes it choose a suboptimal channel, pressing the top button lets the brain do a scan and eventually picks a better channel. nuro nah it’s not what you want. You could try and re-pair the remote. Niels de Klerk should i reset the remote you think? and can i use a backup or do you think i have to do a new configuration? nuro the remote takes its configuration from the brain so as long as you leave that there is nothing to be afraid of. if this doesn’t work you could also try to power off and turn on the NEEO brain. Niels de Klerk i checked everything. it worked, but not for all recipes. i have one that still show's now active state when i power off everything. but this is a recipe from a device i don't even own. i created it to have a now active state for internet radio on my AV. nuro probably it’s marked as turned on in one recipe and never marked as off by another recipe. Niels de Klerk no i checkd that..
when i don't turn on the tuner i don't even own, then the recipe is never in active state.. so my recipe is turning on the tuner and also off. Niels de Klerk that could possibly be the fault. i will check this tonight. thanks for helpin' me out. nuro Hey :), do you experience the same issue if you power off recipes individually on the remote and the app vs using the power button on the NEEO Remote? Niels de Klerk thanks for all your help on this, I really appreciate it :). yes, it's the same when i power off recipes individually..
when i'm power them off in the now active section they are all gone. i never powerd recipes off with the app over the hamburger menu. with the app i just use the now active section to power off recipes. i have to test if it act's the same. i tried to not power on the tuner i don't even own, then the recipe is never in a now active state. may this tuner i'm using is the problem here? Jeff ok, you will get a email this eve. thank you for the support. A. van Kesteren every couple of hours. Could you power off and power on your NEEO brain and have it connected to Ethernet. Niels de Klerk That did it - although it still took several hours for the update to show up after the reboot. While I'm glad this is sorted out, I'd still like to know why my Need apparently didn't bother to check for updates for a month? A. van Kesteren I suspect it actually did check but either the download couldn’t finish in one way or the other or possibly drops on your WiFi network influenced the process. In the release you are running now there are some improvements made on handling updates so I don’t expect you to have this issue from now on. If you do run into this issue again then let the NEEO team know about it on the next firmware update. Really great. I love the IKEA integration, eventhough device names should be taken over from the IKEA app. Which are the added z-wave devices? What's the deal with NeeoLink setting now defaulting to off, and only suggested to turn on if WiFi use has problems? I thought NeeoLink was there so the Remote could instantly communicate with the Brain without having to go through WiFi. Shouldn't NeeoLink normally be the optimal way to communicate? Steveeo NEEO link is superior to WiFi when it comes to power efficiently. Currently the WiFi handling is better than the NEEO link and therefore NEEO link is default off right now. Am I under the impression that you can now no longer use the remote while it's docked? If so, this is disappointing. I have my Neeo remote dock on my work desk and use it to control my music. There's no need to be wasting battery resources (nor have it undocked) for simple music control. I wake it up with a button press, scroll through the list, tap on a song and it plays, the remote falls back asleep. Is this still possible with this update?